The Preah Vihear Temple more than being a unique architectural masterpiece at the Thai-Cambodian border is also a source of an endless dispute between both countries. The issue concern the sovereignty over the Temple and its surrounding area. 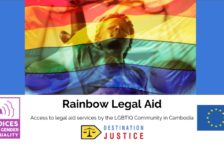 The International Court of Justice (hereinafter ICJ or the Court) released a first judgment in 1962 and an interpretation of this ruling in 2013. Nevertheless, some questions and concerns have still remained unanswered. A situation which could eventually lead to future border incidents among both countries. This sanctuary has been since the mid-twentieth century a source of conflict precisely because of its unique and controversial location between both countries. It all started in 1954 when Cambodian soldiers encountered Thai military personnel stationed on the Temple immediately after Cambodia regained its independence from France.[3. 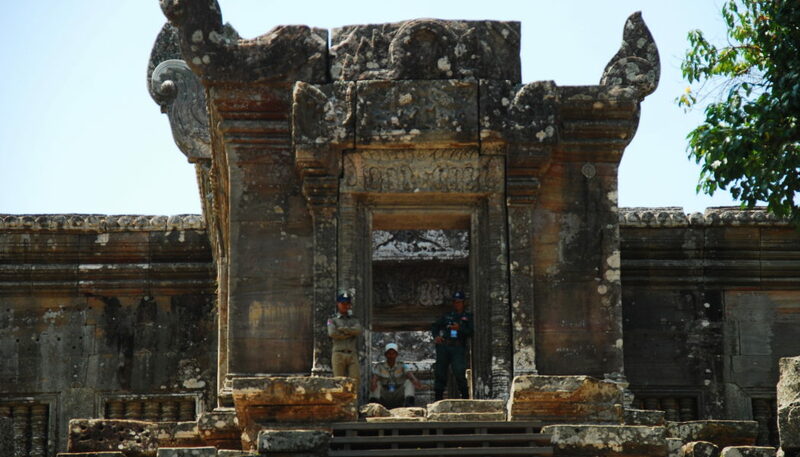 Stanford Spice Digest, “Thailand and Cambodia: The battle for Preah Vihear”, Fall 2009, at page 2 § 1, available: http://iis-db.stanford.edu/docs/379/Prihear.pdf (accessed on 29 May 2014).] Cambodia protested and notified Thai authorities that the Temple was on the Cambodian territory but Thailand refused to withdraw its troops. So Cambodia brought – on the grounds of the violation of its territorial sovereignty over the Preah Vihear Temple and its vicinity – the case before the International Court of Justice in 1959. The mandate of this judicial organ of the United Nations (UN) located in The Hague, Netherlands is to settle on the grounds of international law legal disputes submitted to it by a state. The core issue in this dispute is the sovereignty over the region of the Preah Vihear Temple. The origin of this controversy can be found in the Convention of 13 February 1904 and the Treaty of 23 March 1907 between France and Siam (what was formerly known as Thailand) concerning the Return of Battambang and Angkor to Cambodia. The Convention of 1904 set up a first Franco-Siamese Mixed Commission which was in charge to delimit the frontier. However a further boundary settlement under the Treaty of 23 March 1907 brought various districts within Cambodia which became the new frontier region. In its article 4, the 23 March 1907 Treaty indicated that a second Franco-Siamese Mixed Commission composed of French and Siamese officers appointed by both countries would be created. Its duty would be to demarcate the shared border, especially needed for the Dangrek sector which had not been done by the first Mixed Commission. In 1961 when the case was brought before the ICJ, Thailand argued that those maps were not legally binding because they had not been accepted by the first French-Siamese Mixed Commission (which was dissolved when maps were released) and also because Thailand had never officially accepted them. Thailand claimed that if it had done so, this was only because of a “mistaken belief that the frontier indicated [in the maps] corresponded with the watershed line”.[9. Summary of summary of the Judgment of 15 june 1962, Case concerning the Temple of Preah Vihear (Merits), §3.] Based on Thailand’s passive attitude for years the Court concluded of its “tacit acceptance” of the maps. The judges affirmed that in public international law a mistake is not admissible as an argument if the party that challenges it contributed to it by its own conduct or if that same party could have avoided the mistake. The Court in its 1962 judgment therefore concluded in favour of Cambodia, taking into account the frontier demarcated by the second French-Siamese Mixed Commission’s and the resulting maps produced by the French officers. It thus became unnecessary in the view of the judges to consider whether the mapped border did in fact correspond to the true watershed line or not. In its 1962 decision the Court failed to clearly identify the concept of ‘vicinity’ or surrounding area of the Temple. This lack of precision in the term ‘vicinity’ left the door open for tensions in the surrounding area of the Temple. In 2008 Cambodia applied for the inscription of the Preah Vihear Temple in the World heritage list drawn up by the UNESCO. 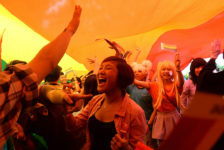 But Thailand who first approved this application then strongly contested it in the light of nationalist feelings raising among the Thai opposition. Once added to the World Heritage List, tensions increased and a number of armed incidents took place within the disputed area. The outbreaks of violence between Thai and Cambodian armies focused on the territorial sovereignty of the area surrounding the Temple but not about the Temple itself as the ICJ had clearly already ruled on this matter. The crux of the dispute was concerning the ‘vicinity’ of the Temple as the 1962 ruling referred to it. Within this disputed zone – the surrounding area of the Temple – of 4.6 square kilometres,[10. Supra 5, p.30 § 83.] armed incidents at this Cambodian-Thai border between 2008 and 2011 caused the death of 20 soldiers and 3 civilians on the Cambodian side, and 16 soldiers and 2 civilians on the Thai side, as well as numerous wounded civilians and soldiers. 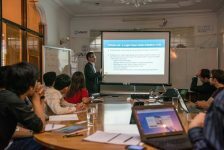 Under this situation, Cambodia formally complained on February 2011 with a letter to the the UN Security Council. The letter claimed that the fighting violated the 1991 Paris Peace Agreement, the U.N charter, and the 1962 ruling of the ICJ.[11. CNN Wires Staff, “Thailand, Cambodia trade shots, charges over ancient temple”, 8 February 2011, available at: http://edition.cnn.com/2011/WORLD/asiapcf/02/06/cambodia.thailand.violence/ (accessed on 2 June 2014).] The UN called for a permanent ceasefire and expressed its support for the Association of Southeast Asia Nations (ASEAN) to find a solution. As the ASEAN was unable to mediate the conflict, Cambodia ultimately decided to file a request at the ICJ for the interpretation of its 1962 ruling. First of all, that a dispute did indeed exist over the territorial sovereignty on the area in which the Temple was located, and that the Court was not engaged at that time in delimiting the frontier. Maps were used by the Court to settle the dispute about the sovereignty over the region of the Temple in 1962 rather than determining a boundary settlement. Secondly, the Court adds that the question was also to know if both parties had adopted the maps, that is why the Court had observed the behaviour of the parties with regard to these maps and others practices, including the tacit recognition of them by Siam officials. The Court in 1962 had considered that maps were accepted from both sides due to their passive attitude. This silent acceptance of the maps produced by the treaty settlement in 1904 therefore lead the Court to pronounce as a matter of treaty interpretation in favour of the line mapped at the beginning of the 20th century. 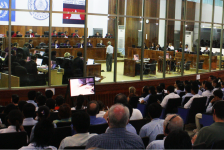 Thirdly, the Court explains that the case concerned only the sovereignty in the region of the Temple of Preah Vihear – the vicinity – and not on the whole disputed border region. 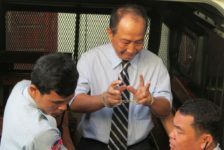 As the Court has however not ultimately ruled on the entire disputed area between Cambodia and Thailand, questions arise as to see if both countries will finally resolve the border issue over the rest of the disputed area. The 2013 decision clarified the expression ‘vicinity’ used in the 1962 judgment and defined it as the whole the promontory in which the Temple is situated. However the 4.6 square kilometers disputed area is still contested because the promontory is just a small part of it. The Court did not pronounce on the border itself or regarding the larger area, mostly because in international public law and interstate border disputes, judges estimated it not to be their prerogative and thus leaving this delicate process to the concerned states. International Courts are – most of the time – prone to interpret an existing treaty in the light of the actual situation because the treaty as to a boundary is an interstate agreement which is generally dispositive for the court.[17. Taylor Sumner, B., “Territorial dispute at the International Court of Justice”, Duke Law Journal, Vol. 53, p.1804, available at: http://scholarship.law.duke.edu/cgi/viewcontent.cgi?article=1227&context=dlj (accessed on 17 June 2014).] 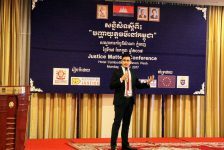 And this is what the ICJ has done here when considering that both Thailand and Cambodia consented to the treaties on the boundaries established between 1904-1907 and that the maps drawn after – due to the passive attitude of the parties – had entered the treaties. The Court therefore interpreted them and brought some clarifications on the current situation but not enough to solve the controversy related to the whole disputed area. 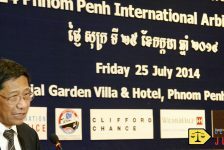 Even if the ICJ 2013 interpretation is definitely a step forward in resolving Cambodia and Thailand’s border dispute, a legal vacuum over the remaining surrounding area of the Preah Vihear Temple still exists. And while Cambodia and Thailand have agreed to respect the latest ICJ ruling urging their respective armed forces to keep calm,[18. Vong Sokheng, “Thai and Cambodian rulers agree to civility”, The Phnom Penh Post, 18 June 2013, available at: http://www.phnompenhpost.com/national/thai-and-cambodian-rulers-agree-civility (accessed on 10 June 2014).] the recent crisis in Thailand raised a few questions over the temporary stability initiated by the Court. Namely, a few days after the Thai military coup on 22 May 2014, Thai forces erected a 130 meters long fence within the disputed area.[19. Saing Soenthrith & Zsombor Peter, “Military protests new Thai fence near Preah Vihear”, The Cambodia Daily, 2 June 2014, available at: http://www.cambodiadaily.com/news/military-protests-new-thai-fence-near-preah-vihear-border-60141/ (accessed on 12 June 2014).] The situation at the border will therefore continue to be an issue between Cambodia and Thailand as long as there is not a new and definitive consensus among both countries. 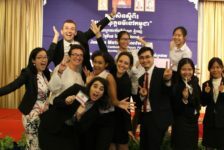 Sophanny Mom is a Destination Justice Associate Consultant based in Cambodia, she graduated with a Bachelor of Law in 2014 from the Royal University of Law and Economics and is currently finishing her Bachelor of International Relations at Paññāsāstra University of Cambodia.